Brand new to Skilljar? 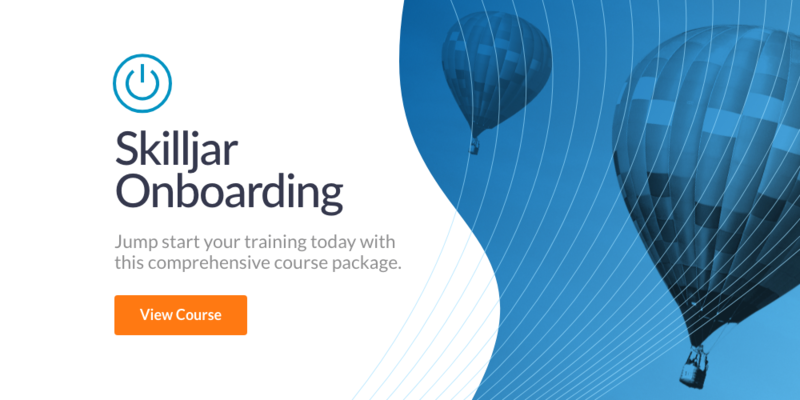 Our Onboarding courses will help you plan, design, and launch a world-class training program. 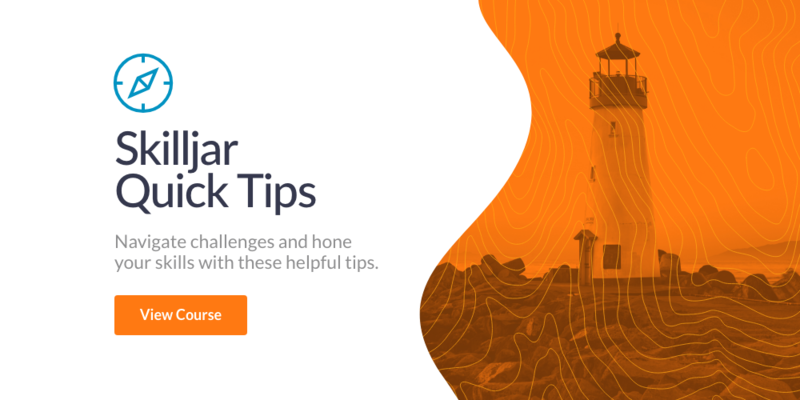 Whether you're a beginner or an expert, you'll find valuable tips and tricks in our brand new QuickTips Library. You'll also find unique insights in our Webinars series and our eBooks series. Planning your training portal launch. Creating courses, lessons, and content. Creating a domain, configuring access, and promoting your training. Make it easy for students to find courses within course series. Learn about tags and how to surface courses on your catalog using filter groups. Learn about the various types of dashboard users and how to manage them. Learn how to update existing dashboard users and their abilities within Skilljar. Make it easy for students to find courses on your catalog. Learn how to upload content in bulk and automatically create lessons from the content. Administrators use the Skilljar Dashboard to design and distribute their training platforms. Use this lesson type to offer Instructor-Led or Virtual Instructor-Led Training from within Skilljar! Customer training is not designed to be static; there’s always room for more growth. Learn tips, tools and best practices to help you create a comprehensive customer training plan for Q4 and beyond. Learn how to create an effective customer education strategy for the modern learner. In this webinar, we discussed the findings from our latest study on the anatomy of a training course. We analyzed data collected over multiple years of delivering best-in-class training experiences to provide insight into how customer training teams are educating their users today. Today’s customers have more choices than ever before. If you want to keep their business, you need to set them up for success from day one. Allow your students to navigate your training platform in their desired language. Customize the default text that appears in the training platform. Use optional lessons to offer flexibility with surveys, exams, and more. Learn how to manage existing live events and attendees. Learn the basics of Single Sign-On and how you can use it to control enrollment and authentication in your training domain. Skilljar creates course recommendations dynamically for each student, based on courses that other students enrolled in. In this video, we review the basics of the Publish Course window. Welcome to Skilljar! These courses will guide you to a successful launch. Learn Skilljar best practices in 6 minutes or less. Learn how to get the most out of Skilljar enrollment and student data. 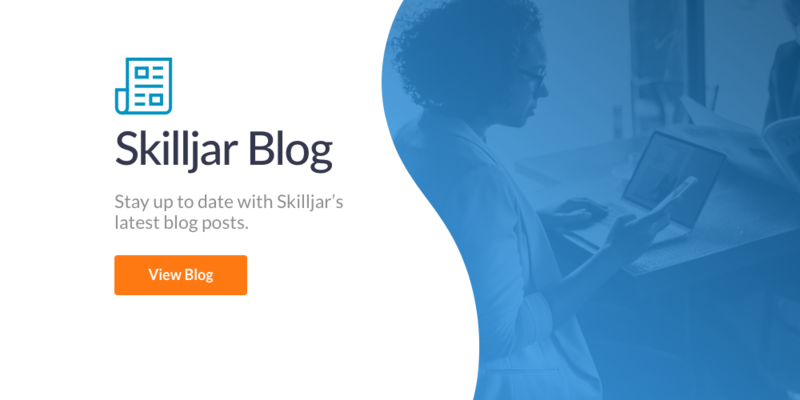 Check back here each month for details on the newest features of Skilljar! Check out our recorded webinars here.